track, Zehere, and what comes next for her. I ask what sort of music she grew up around and what she hopes to achieve by the end of the year; if there are albums that are important to her – she recommends some approaching artists to look into. 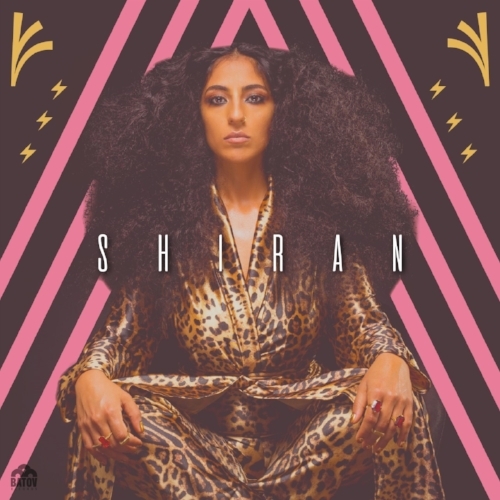 I ask SHIRAN whether there is any advice she would give to artists emerging right now; how it feels being on stage and delivering music to the people; whether there are tour dates coming up – she ends the interview by selecting an interesting track. Hi, SHIRAN. How are you? How has your week been? Hi. I’m and it was a great week. I’m SHIRAN and I’m a thirty-one-year-old from Israel. In the last years, I tracked my Yemen roots and created songs from my grandmother’s stories of the Yemen (Aliyah). 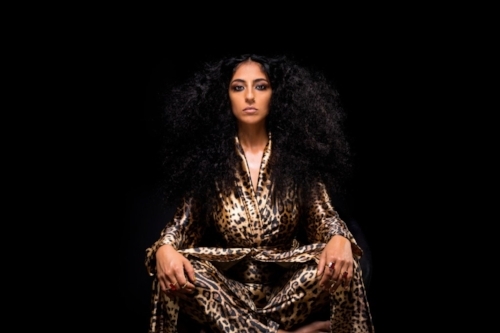 The songs were produced by my husband, Ron Bakal, and came out alongside a groove band and, together, we created a new style: Middle East-Afro beat. Zehere is out. What is the inspiration behind the song? The song describes my grandmother’s sister - a young girl named ‘Zehere’, and her family who moved to Israel from Yemen. All that she can think about is running away from the place she lives, to explore the world outside. The song was written from her sister's point of view: “Just be back, Zehere/Your time to see the world will come”. Can you talk more about the video? Who came up with the concept and what was your reaction seeing it back for the first time? My husband, Ron Bakal, and I met with the director, Vadim Mechona. After we told him Zehere’s story, together we created the concept of the video. Our idea was to bring the East together with the West - the old with the new and, finally, to bring Yemen into TLV 2018. The first time I saw the video, I was very proud and excited about the results. I believe an album is coming up. Are there particular themes and stories that have inspired the music? Yes. The album concept came from the stories. I tracked my Yemen roots and created songs from my grandmother’s stories of the Yemen (Aliyah). Might we see more material/singles coming down the line? Can you recall when music came into your life? Which artists did you follow? Music came into my life when I was sixteen-years-old. That was the time I started to sing and discovered the music. At that time, I was listening to singers like Whitney Houston, Michael Jackson; Aretha Franklin, Beyoncé and a lot of Israeli music. I hope to bring my music to as many places in the world as possible. I hope to create a lot of music and be proud of it. I have a lot of memories. My favorite one is the time that Ron and I worked in the studio on one of the songs, Yatim. This song was written by the inspiring life story of Haim Malihi (Ron’s grandfather) that made an Aliyah from Yemen at a very young age; after being orphaned from his mother. The song describes the journey and the dream that he had to get to his heart’s destination. The work on the production of the song was magical and the creation was amazing. It was clear to us how to create the musical journey of the song because of its strong story. I really like the album's musical production and I think this is one of the best bands from Israel. I love her music and her voice. This album excites me because it is produced accurately to her truth and humility. I love the groove and the rhythm of this album. Music requires patience, persistence; willpower, determination and faith. I’m going to perform at two festivals in Israel: InDnegev and the International Music Showcase. We’re now working on summer 2019 tour dates in Europe. How important is it being on stage and performing? Do you love playing your music to the crowds? Being on stage and performing is the most important thing! After all the work involved regarding music and everything around it, I’ll always remind myself that, in the end, I decided to make music because of my strong desire to sing - especially with my own music on stage. Quarter to Africa and Malabi Tropical. I’m trying as much as I can - especially when my husband is my musical producer. So, most of our time, we’re playing music, creating music; making a decisions about the project. We sleep with it and wake up with it. So, it's important for us to do things that are not related to music like watching movie and traveling the world. The main thing I do to chill is sport (like swimming and running) or just taking a walk through the beach and pass time by the sea.